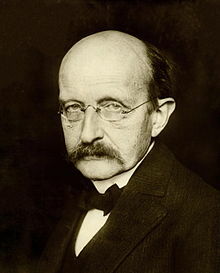 As we muse on anthropomorphic metaphor and meaning, we might recall that today’s a relative-ly good day for it, as it was on this date in 1900 that German physicist Max Planck presented and published his study of the effect of radiation on a “black-body” substance (introducing what we’ve come to know as the Planck Postulate), and the quantum theory of modern physics– and for that matter, Twentieth Century modernity– were born. Planck study demonstrated that in certain situations energy exhibits the characteristics of physical matter– something unthinkable at the time– and suggested that energy exists in discrete packets, which he called “quanta”… thus laying the foundation on which he, Einstein, Bohr, Schrodinger, Dirac, and others built our modern understanding. Quantum computing is all the rage. It seems like hardly a day goes by without some news outlet describing the extraordinary things this technology promises. Most commentators forget, or just gloss over, the fact that people have been working on quantum computing for decades—and without any practical results to show for it. We’ve been told that quantum computers could “provide breakthroughs in many disciplines, including materials and drug discovery, the optimization of complex manmade systems, and artificial intelligence.” We’ve been assured that quantum computers will “forever alter our economic, industrial, academic, and societal landscape.” We’ve even been told that “the encryption that protects the world’s most sensitive data may soon be broken” by quantum computers. It has gotten to the point where many researchers in various fields of physics feel obliged to justify whatever work they are doing by claiming that it has some relevance to quantum computing. Meanwhile, government research agencies, academic departments (many of them funded by government agencies), and corporate laboratories are spending billions of dollars a year developing quantum computers. On Wall Street, Morgan Stanley and other financial giants expect quantum computing to mature soon and are keen to figure out how this technology can help them. It’s become something of a self-perpetuating arms race, with many organizations seemingly staying in the race if only to avoid being left behind. 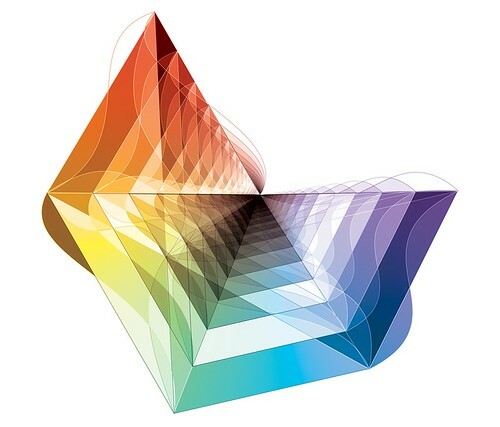 Some of the world’s top technical talent, at places like Google, IBM, and Microsoft, are working hard, and with lavish resources in state-of-the-art laboratories, to realize their vision of a quantum-computing future. 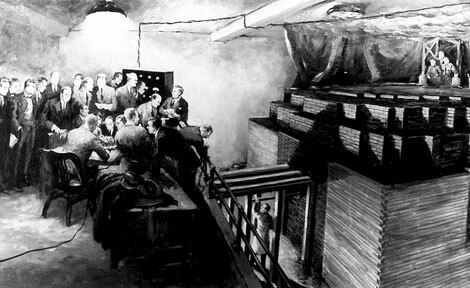 As we feel the need for speed, we might recall that it was on this date in 1942 that a team of scientists led by Enrico Fermi, working inside an enormous tent on a squash court under the stands of the University of Chicago’s Stagg Field, achieved the first controlled nuclear fission chain reaction… laying the foundation for the atomic bomb and later, nuclear power generation. – Coded telephone message confirming first self-sustaining nuclear chain reaction, December 2, 1942. 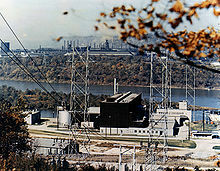 Indeed, exactly 15 years later, on this date in 1957, the world’s first full-scale atomic electric power plant devoted exclusively to peacetime uses, the Shippingport Atomic Power Station, reached criticality; the first power was produced 16 days later, after engineers integrated the generator into the distribution grid of Duquesne Light Company. Made of a corrosion-resistant alloy of 90 percent platinum and 10 percent iridium , the international prototype kilo has rarely seen the light of day. Yet its role has been crucial, as the foundation for the globally accepted system for measuring mass upon which things like international trade depend. Three different keys, kept in separate locations, are required to unlock the vault where the Grand K and six official copies — collectively known as ‘‘the heir and the spares’’ — are entombed together under glass bell-jars at the International Bureau of Weights and Measures, in Sevres on the western outskirts of Paris. Founded by 17 nations in 1875 and known by its French initials, the BIPM is the guardian of the seven main units humanity uses to measure its world : the meter for length, the kilogram for mass, the second for time, the ampere for electric current, the kelvin for temperature, the mole for the amount of a substance and the candela for luminous intensity. As we muse on measurement, we might send well-calibrated birthday greetings to August Kundt; he was born on this date in 1839. An astronomer-turned-physicist, he developed a method to measure the velocity of sound in gases and solids using a closed glass tube (now known as a Kundt’s Tube). We might also spare a thought for another physicist, Niels Bohr; he died on this date in 1962. 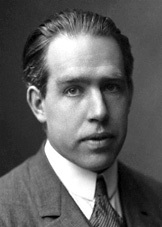 A Danish physicist and philosopher, Bohr was the first to apply quantum theory to the problem of atomic and molecular structure, creating the Bohr model of the atom, in which he proposed that energy levels of electrons are discrete, and that the electrons revolve in stable orbits around the atomic nucleus but can jump from one energy level (or orbit) to another– a model the underlying principles of which remain valid. And he developed the principle of complementarity: that items could be separately analyzed in terms of contradictory properties, e.g., particles behaving as a wave or a stream. His foundational contributions to understanding atomic structure and quantum theory won him the Nobel Prize in Physics in 1922. Our architecture, our education and our dictionaries tell us that space is three-dimensional. The OED defines it as ‘a continuous area or expanse which is free, available or unoccupied … The dimensions of height, depth and width, within which all things exist and move.’ In the 18th century, Immanuel Kant argued that three-dimensional Euclidean space is an a priori necessity and, saturated as we are now in computer-generated imagery and video games, we are constantly subjected to representations of a seemingly axiomatic Cartesian grid. 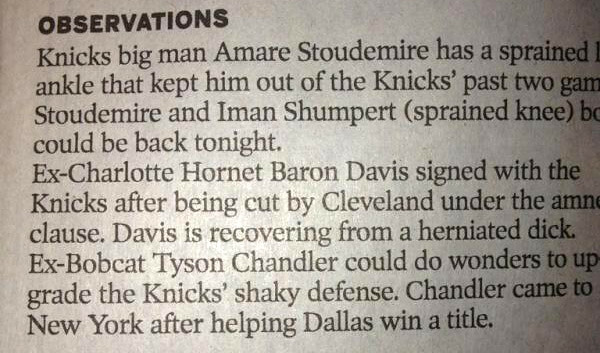 From the perspective of the 21st century, this seems almost self-evident. Yet the notion that we inhabit a space with any mathematical structure is a radical innovation of Western culture, necessitating an overthrow of long-held beliefs about the nature of reality. Although the birth of modern science is often discussed as a transition to a mechanistic account of nature, arguably more important – and certainly more enduring – is the transformation it entrained in our conception of space as a geometrical construct. As we tax our senses, we might spare a thought for Robert Jemison Van de Graaff; he died on this date in 1967. 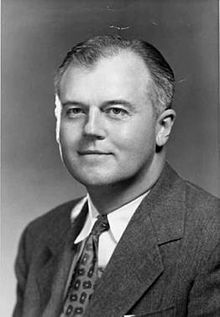 A physicist and engineer, he is best remembered for his creation of the Van de Graaff Generator, an electrostatic generator that creates very high electric potentials– very high voltage direct current (DC) electricity (up to 5 megavolts) at low current levels. A tabletop version can produce on the order of 100,000 volts and can store enough energy to produce a visible spark. Such small Van de Graaff machines are used in physics education to teach electrostatics; larger ones are displayed in some science museums. 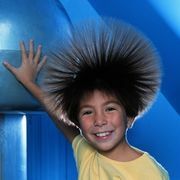 Boy touching Van de Graaff generator at The Magic House, St. Louis Children’s Museum. Charged with electricity, his hair strands repel each other and stand out from his head. Kelvin’s (in)famous assertion, among others, have led to the sense that physics at the fin de siècle was believed by scientists at the time to be on the point of completion. 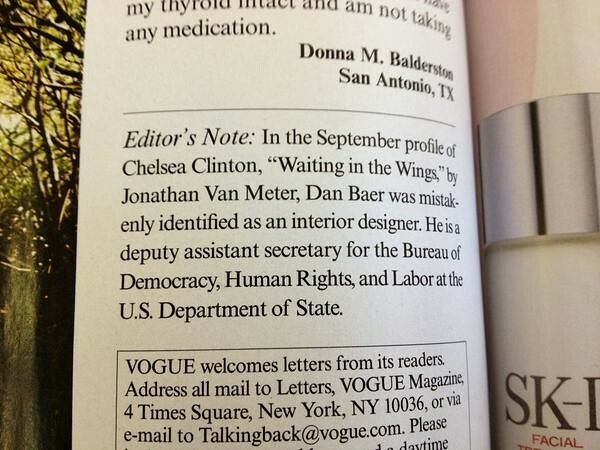 But that could not be further from the truth. 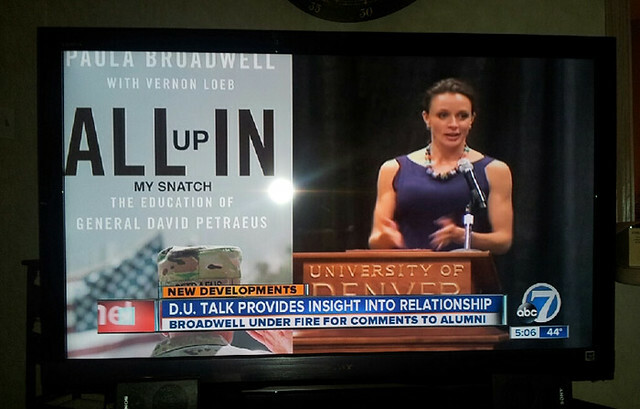 On the contrary, at that moment almost anything seemed possible. 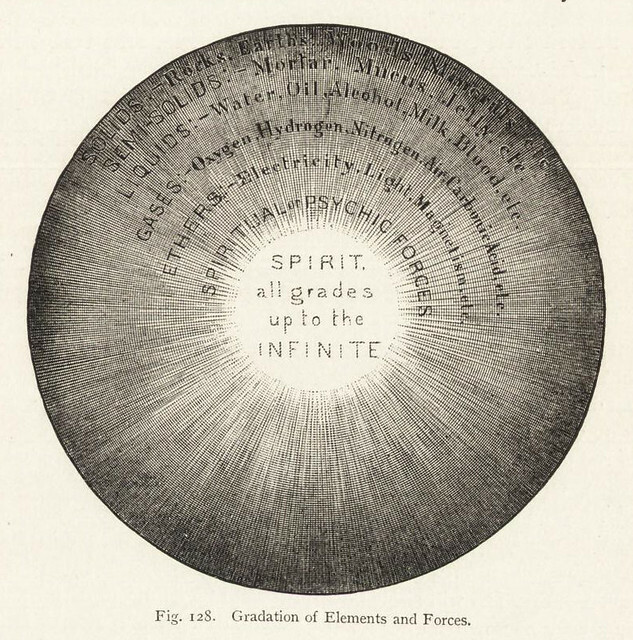 At the end of the 19th century, inspired by radical advances in technology, physicists asserted the reality of invisible worlds — an idea through which they sought to address not only psychic phenomena such as telepathy, but also spiritual questions around the soul and immortality. As we recall that all things are relative, we might send bounteous birthday greetings to Charles Alfred Coulson; he was born on this date in 1910. A mathematician and theoretical chemist, Coulson was a pioneer of the application of the quantum theory of valency to problems of molecular structure, dynamics and reactivity. 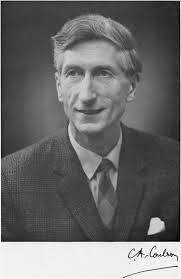 He was Rouse Ball Professor of Mathematics at the University of Oxford (a position in which he was preceded by E. A. Milne, the mathematician and astrophysicist, and succeeded by Roger Penrose), and was a founder and Director of Oxford’s Mathematical Institute. As we fixate on fact-checking, we might recall that this is the birthday of quantum physics: it was on this date in 1900 that Max Planck published his study of the effect of radiation on a “blackbody” substance, demonstrating that in certain situations energy exhibits the characteristics of physical matter– something unthinkable at the time– and suggesting that energy exists in discrete packets, which he called “quanta”… thus laying the foundation on which he, Einstein, Bohr, Schrodinger, Dirac, and others built our modern understanding of physics. Human thinking, as many of us know, often fails to respect the principles of classical logic. We make systematic errors when reasoning with probabilities, for example. Physicist Diederik Aerts of the Free University of Brussels, Belgium, has shown that these errors actually make sense within a wider logic based on quantum mathematics. The same logic also seems to fit naturally with how people link concepts together, often on the basis of loose associations and blurred boundaries. That means search algorithms based on quantum logic could uncover meanings in masses of text more efficiently than classical algorithms. 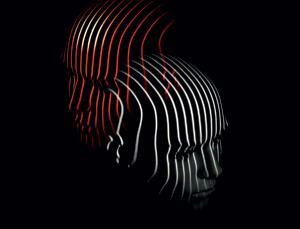 Why should quantum logic fit human behaviour? Peter Bruza at Queensland University of Technology in Brisbane, Australia, suggests the reason is to do with our finite brain being overwhelmed by the complexity of the environment yet having to take action long before it can calculate its way to the certainty demanded by classical logic. 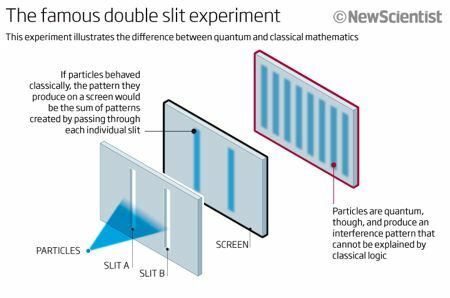 Quantum logic may be more suitable to making decisions that work well enough, even if they’re not logically faultless. “The constraints we face are often the natural enemy of getting completely accurate and justified answers,” says Bruza. This idea fits with the views of some psychologists, who argue that strict classical logic only plays a small part in the human mind. Cognitive psychologist Peter Gardenfors of Lund University in Sweden, for example, argues that much of our thinking operates on a largely unconscious level, where thought follows a less restrictive logic and forms loose associations between concepts. Aerts agrees. “It seems that we’re really on to something deep we don’t yet fully understand.” This is not to say that the human brain or consciousness have anything to do with quantum physics, only that the mathematical language of quantum theory happens to match the description of human decision-making. Perhaps only humans, with our seemingly illogical minds, are uniquely capable of discovering and understanding quantum theory. Read the article in its fascinating entirety at New Scientist (via Amira Skowmorowska’s Lapidarium Notes). 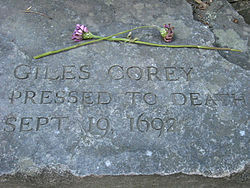 As we feel even more justified in agreeing with Emerson that “a foolish consistency is the hobgoblin of little minds,” we might recall that it was on this date in 1692 that Giles Corey, a prosperous farmer and full member of the church in early colonial America, died under judicial torture during the Salem witch trials. Corey refused to enter a plea; he was crushed to death by stone weights in an attempt to force him to do so. Under the law at the time, a person who refused to plead could not be tried. To avoid persons cheating justice, the legal remedy was “peine forte et dure“– a process in which the prisoner is stripped naked and placed prone under a heavy board. Rocks or boulders are then laid on the wood. 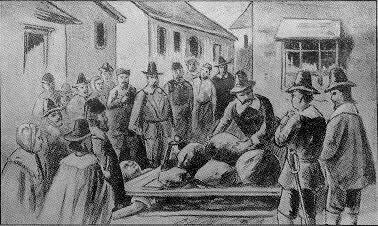 Corey was the only person in New England to suffer this punishment, though Margaret Clitherow was similarly crushed in England in 1586 for refusing to plead to the charge of secretly practicing Catholicism.